who doesn't love swag? i mean, i do. i especially love vegan swag ... so when the founder of everything vegan e-mailed me, i was pumped. not only to try out some of their goods ... but to learn about & share this amazing new business. 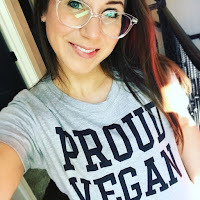 so here we go ... "everything vegan is a cruelty-free apparel company, founded by aaron seminoff in sunny california. [ed. note. his dogs are adorable.] like you, we are passionate about living a plant-based lifestyle. 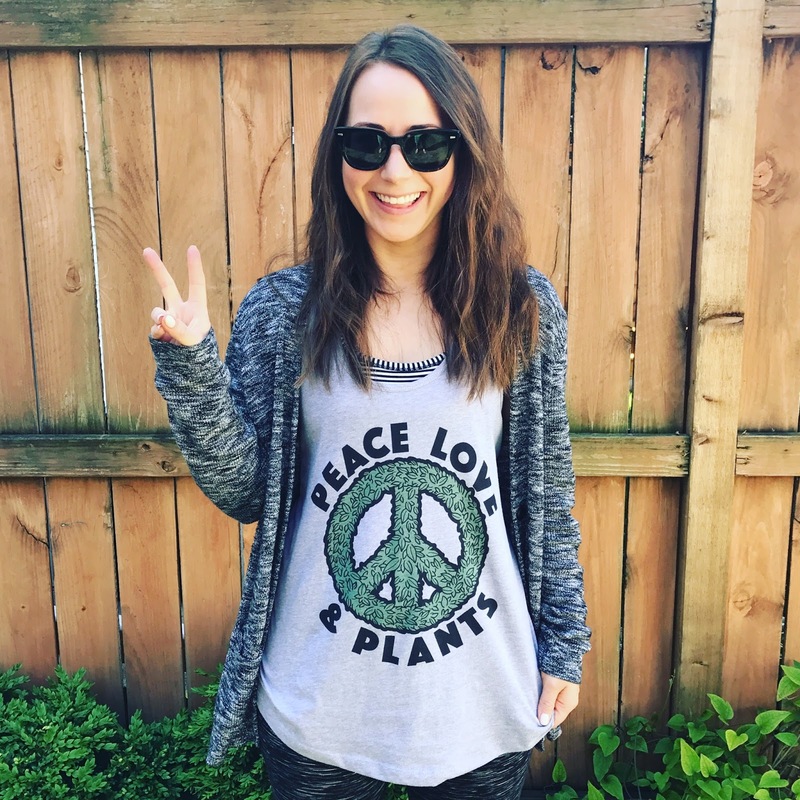 all of our cruelty-free apparel is 100% vegan & printed with organic water-based inks. whether you are a life-long vegan or just transitioning into a plant-based lifestyle, we welcome you & appreciate your support!" sounds right up our alley, amiright? 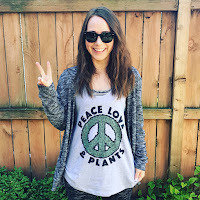 a proud vegan t-shirt + peace love & plants tank. i've got to say ... i love my two tops. i know i'm boring for getting two grey things, but that's just the way this cookie dresses. i also ordered a size up, because 1. i like things a bit oversized. 2. i get nervous when things are a "women's cut." so for me, the larger size was perfect. other good news? 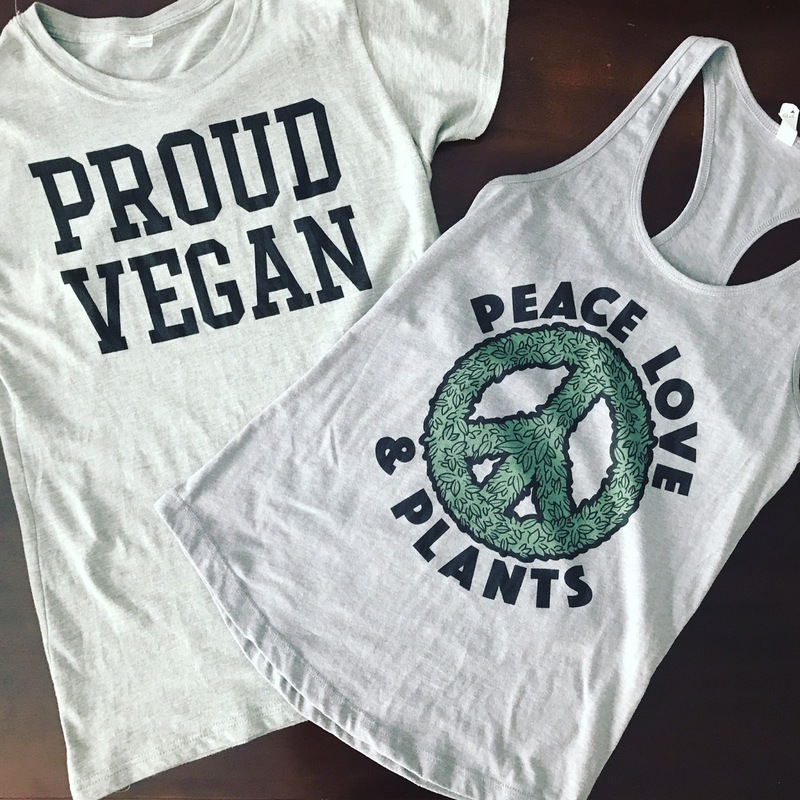 there's a buy 2, get 1 free deal happening on everything vegan right now for the rest of the week ... so hurry up!! i'm thinking of placing yet another order & getting some stuff for the babe ... well, for me too. because i'm really eyeing that kale sweatshirt. check it out!